"Sport is unique. It has the power to bring people together in even the most difficult and fractured of times. It is opportunity rich. 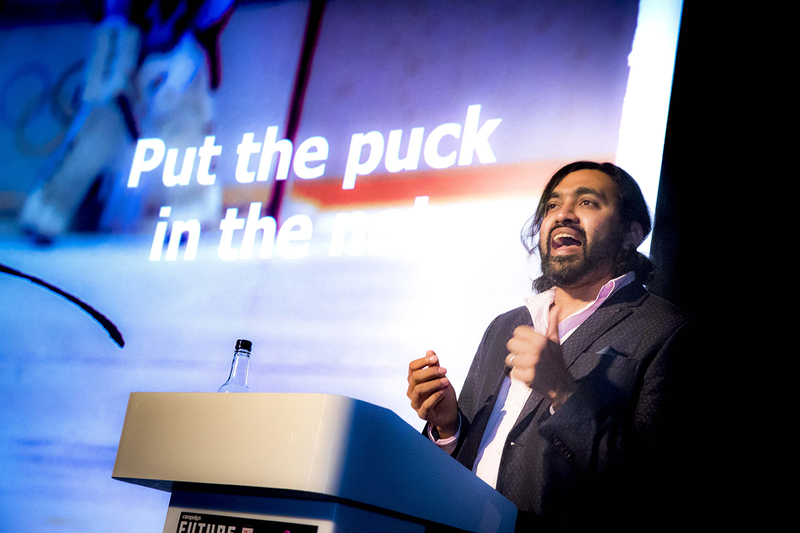 The challenge for brands is how to embrace sport as it evolves". Sally Hancock is managing partner at Y Sport. 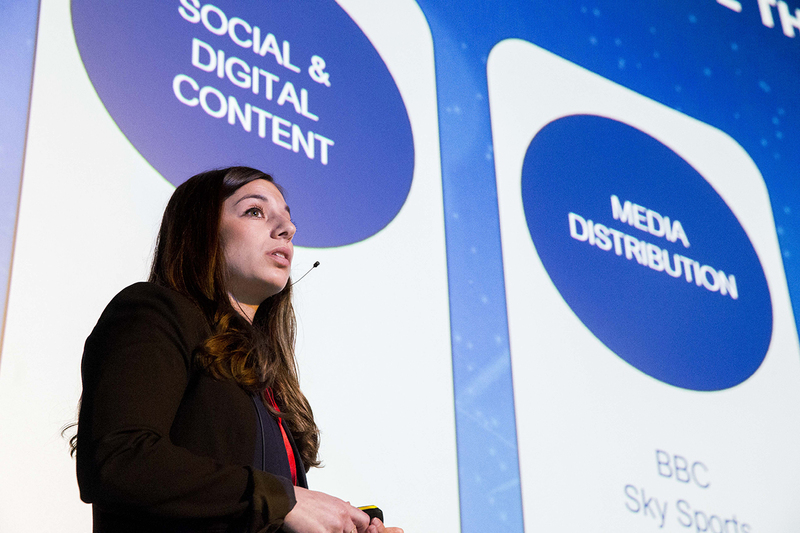 She was talking at Campaign’s Future Fit event that gathered the marketing, creative, media and sporting community to talk about the future of sports and fitness marketing. The half-day session, hosted at Curzon Soho in London, provided case studies, research and advice from leading figures in the market on how to tap into the very lucrative market. Fans fund the sports industry directly through purchases or indirectly through viewing habits. It is crucial they are central to any campaign, according to Paul Southby, senior project director at Wasserman. "Fans sacrifice time, money and often relationships for their passion. They are more likely to change religion than their team. Fans are also demanding more exclusive content; fan-generated content is increasingly in demand." 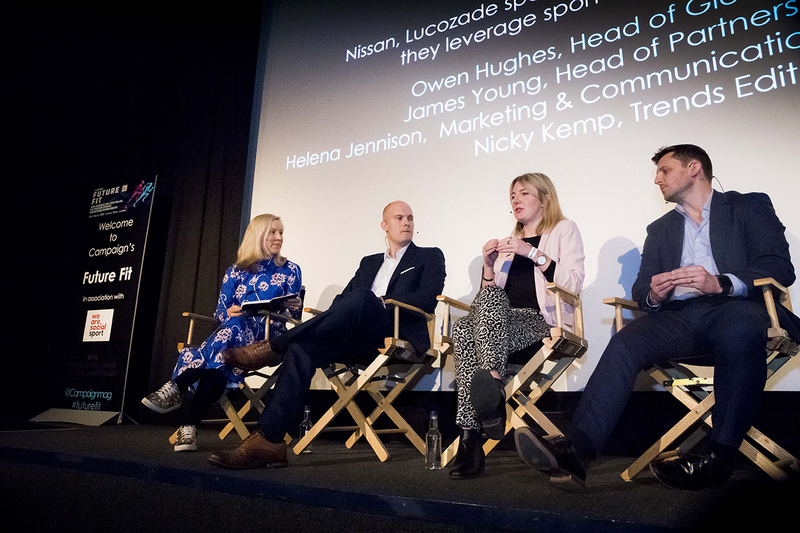 Lucozade Sport’s global head of sponsorship James Young agreed that brands and agencies must look at the value exchange with fans and audiences: "We must maximise what people get out of a campaign and always bring it back to the question: are we bringing value to people’s lives?" He’s increasingly looking for rights holders and partners to help improve that value, which can mean moving away from more traditional packages: "I am hearing less off-the-shelf stuff but brands need to become more assertive and say what it is they want. Rights holders are being more creative and I enjoy working with the ones that will co-create to help achieve your goals." 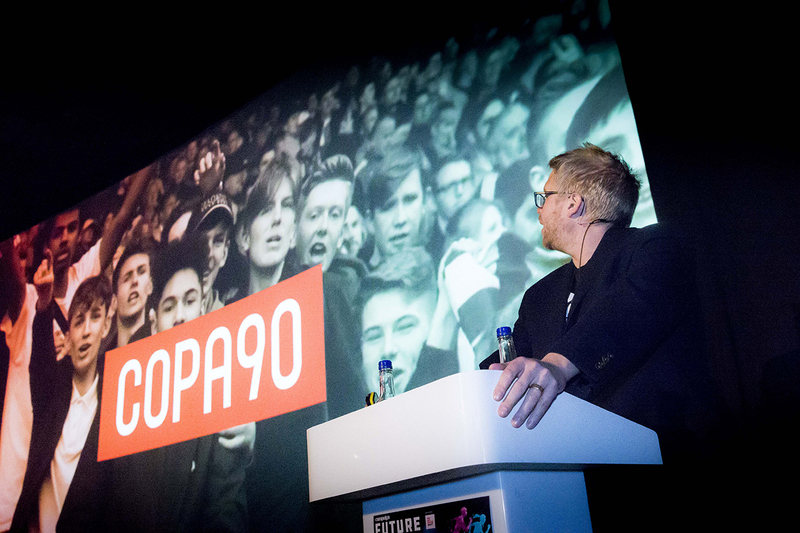 James Kirkham, head of COPA90, explained that football fans, for example, are looking for more nuanced content. They don’t just want to talk about football – they are multifaceted and we must remember that. "Segment your audience more appropriately to connect with them better. You’ll see an intersection between football and culture such as music, fashion, food and more. Culture drives deeper relevance". Engaging sport fans can be more challenging for those brands not directly involved in sports or fitness, explained Nissan’s global head of sponsorship Owen Hughes: "As an automotive and technology brand, we ask ourselves and our partners how we can be relevant in the experience of enjoying a sport and how we can improve the experience for audiences." Many brands use influencer marketing to get closer to their target audiences, but authenticity is key explained Gareth Leeding, creative director at We Are Social Sport. "There is massive opportunity with influencer marketing – but it’s a busy space so you have to find a unique way to own it. There are issues working with influencers – the big ones can be promiscuous and sometimes partnerships are not the most authentic. We believe true influence comes from authentic and trusted sources – paying for influence is not authentic and people can tell that." Leeding approached influencer marketing differently when working with adidas on the Tango Squad and Tango Squad FC campaign, which set to built an influencer network from the ground up. They created their own army of football obsessed advocates by bringing together local football communities on dark social. The campaign spanned eight markets, engaged 1600 young people and targeted talented football captains with micro-influence level in their communities. The Tango Squad received new products first, enjoyed amazing experiences such as a David Beckham coaching session and big transfer announcement, making the Squad the people to know. Adidas Football and We Are Social Sport took the campaign further launching Tango Squad FC, a selection of 16 of the best footballers in the Tango Squad with the biggest and most interesting personalities. Leeding described this team as "a team made for Youtube". 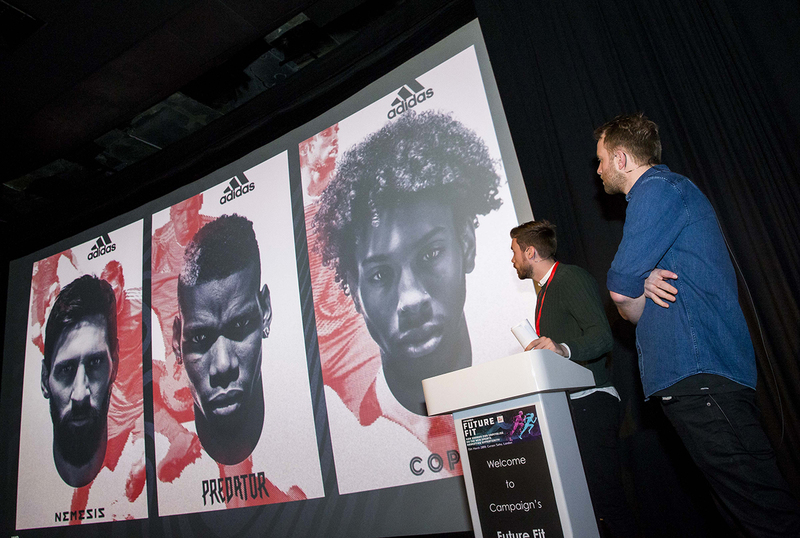 Adidas’ social media manager Stephen Cleary explained how the next challenge was to achieve scale and create influence to reach millions of football creators online. "We made a fly-on-the-wall documentary series designed for Youtube – we've achieved 14 millions views so far with five episodes, and there's another five episodes to come. We’ve set new boundaries for long-form content. And we’re driving exposure and opportunity for the Tango Squad FC. It’s really just the beginning." "Don’t follow the rules, rewrite them and don’t buy influence – grow it," advised Leeding. Traditional influencers – celebrities and sports stars – have been an important tool for the Movember Foundation, according to marketing and communications director Helena Jennison. "As a non-profit, we’ve been lucky in that we’ve benefited from sports celebrities such footballer Theo Walcott and rugby’s Dylan Hartley – they have grown moustaches for us and we call them walking, talking billboards for men’s health. We have also worked with stars such as Formula One driver Lewis Hamilton to fundraise. There are a few different ways to use these big names and their reach to communicate our messages." 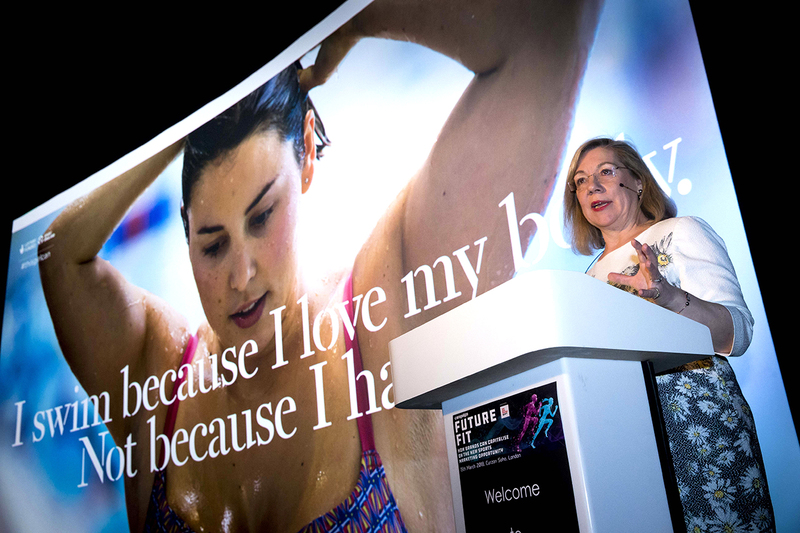 Sport is a ripe opportunity for brands to tap into a greater purpose and drive positive change in society, according to Sports England’s chief executive Jenny Price. Price explained how This Girl Can addressed reasons behind the gender gap in sports, most notably fear of of judgement. "We tried to tackle this fear judgement felt by a lot of women and girls and we wanted to show real women, on the pitch, out of the pool and off the street." The ad campaign, created in collaboration with FCB Inferno, changed attitudes around gender in sport and encouraged 1.6 million girls and women to exercise. 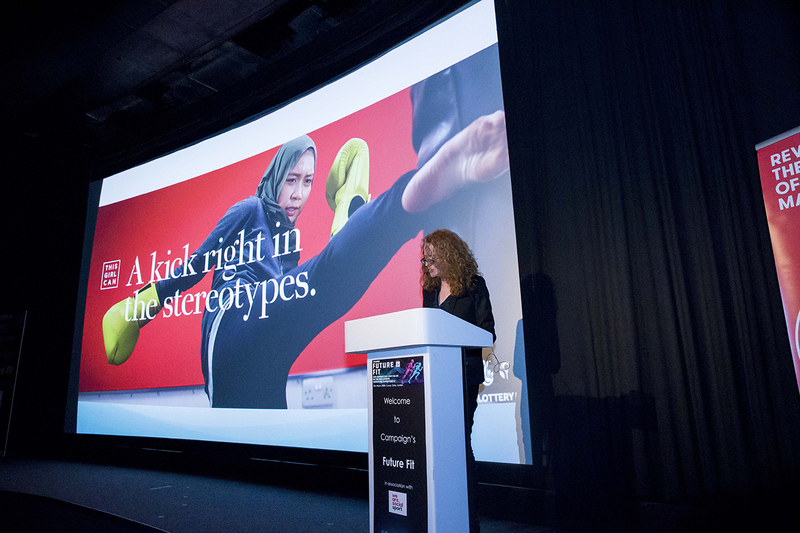 Young explained how Lucozade Sport repositioned its strategy from a more male-focussed product with messaging based about competition, to a more inclusion strategy to get more people moving. 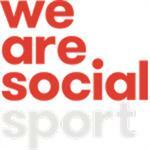 "Sport changed – it became more social and more mixed. It has become a thing you do with a smile, not about suffering anymore. We identified half the problem with the UK population was people not moving enough. We created ‘Made to Move’ as a mission to get more people moving and spoke to existing and new partners to help with that mission." The shift in strategy has helped Lucozade Sport attract more female consumers, and they now have more women buying their product than men. General Mills looked to tennis to help inspire 131,000 people during a campaign last year, explained marketing head of Haagen-Dazs and Snacking Arjoon Bose. "We chose the sport as it’s primarily played outdoors, is transgenerational and has a strong element of mass participation. We staged a live game – current British tennis No.1 Johanna Konta v former Wimbledon champion Pat Cash." The campaign mixed live, digital and social to get people talking and audiences moving. Unicef’s head of sport Guy Price described a number of successful sponsorship programmes and testified that there are huge benefits for the charity aligning its vital cause with an amazing sport: "Connecting cause and sport is a no brainer for us." Jennison suggested brands approach initiatives with a key question: how can we look at sport as a tool for the wider community? Sports marketing has evolved from a traditional approach of talking at people, to a deeper and more personal conversation with audiences. Social media allows you to adjust messaging and add value through experience, explained Hughes. NFL’s director of sponsorship Lindsey Eckhouse agreed that social and digital media is key to cutting through in her market: "Our burgeoning fan base is millennials and with digital and social consumption up year on year, we see much higher engagement with fans online compared with some traditional sports rights holders." Kirkham added that modern football is "built out of moments", fans see it, talk about it and spread it on social media. The moments live on as a gif or a meme. COPA90 calls it the '"meme you later" generation. He also explain there’s huge opportunity in dark social – the instant messaging world – and how that gets used in storytelling. "It’s not just about broadcasting anymore."